This entry was posted in Musings and tagged animals, costa rica, crocodile, dientes/teeth, el mar, Guanacaste stories, ocean, questions. Bookmark the permalink. thanks for the information. 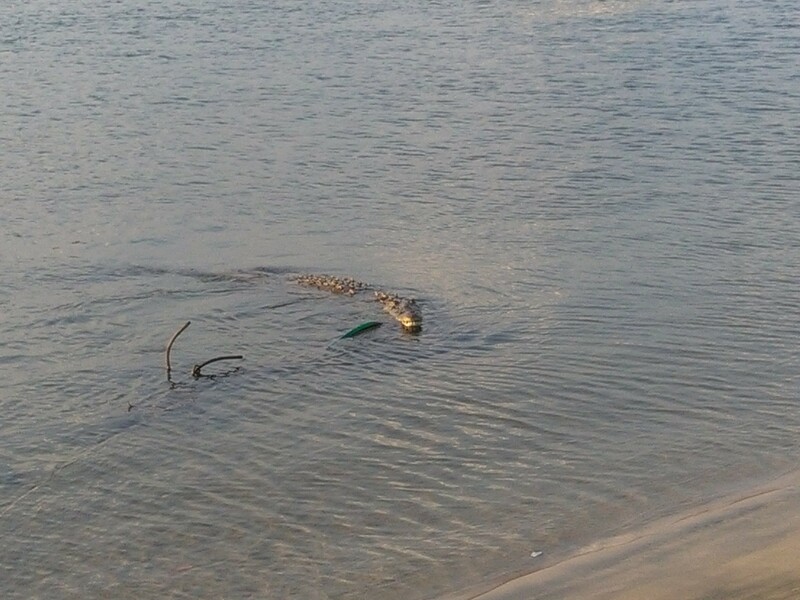 there was a croc 3 days ago at cape town just south of the barcelo so people got out of the water. a little while longer a few people were surfing at the estuary (they had been told of the croc at cape town) and sure enough 5 minutes after they got in the croc was there. they should do something about that croc too. also barcelo should also have signs that say when a croc has been spotted.